There will be a focus on the ‘Be Avalanche Aware‘ guidelines published by the Scottish Avalanche Information Service to look at good planning before heading onto the hill and good decision making throughout our mountain journey. We offer a mix of 1-day and 2-day courses based in the Cairngorms National Park with an experienced and qualified guide who will structure the days to make the best use of the available conditions. See below for our list of dates this coming winter season. On our 2 day courses, the first day will be spent learning and practicing the core winter skills. On day 2 we will go for a longer hill day, visiting a major summit if conditions allow, to put all that was learned on day 1 into practice! Our one-day winter skills course will focus on acquiring all the skills you need for safe winter mountain adventures. Alternatively, if the dates don’t work for you or if you’d like private instruction we can arrange bespoke courses. Please get in touch to discuss. Pre-requisites: you should have experience of hillwalking in the mountains in the summer and be able to look after yourself in the mountain environment. No previous winter experience is required. The exact location of courses will vary dependant on conditions but will be in and around the Cairngorms. 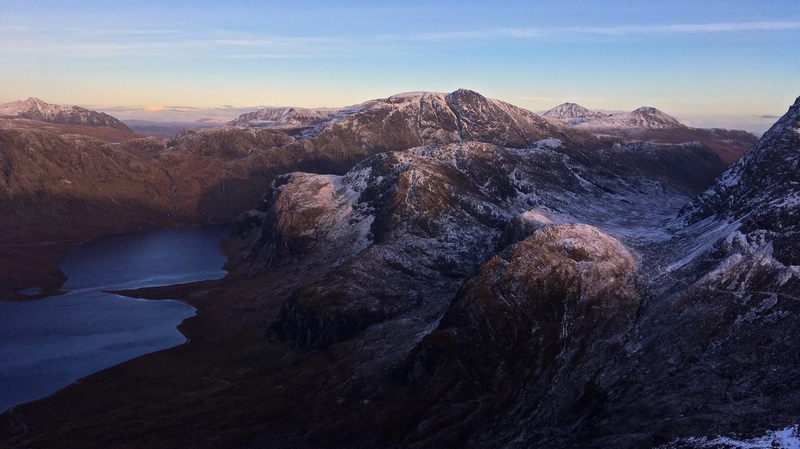 All days will begin at 8am, and you will need to bring your winter hillwalking kit, lunch and a drink (a flask of something warm is highly recommended!). A full winter kit list is available here. It is necessary to wear crampon compatible winter boots and to bring ice-axe and crampons. These can be hired from local outdoor shops if required. If you need any advice, don’t hesitate to get in touch.